Start by following James Joyce. We’d love your help. Let us know what’s wrong with this preview of A Portrait of the Artist as a Young Man by James Joyce. We’d love your help. Let us know what’s wrong with this preview of Dubliners by James Joyce. We’d love your help. 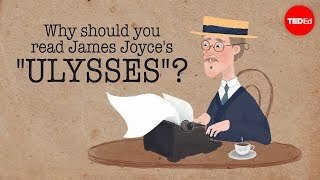 Let us know what’s wrong with this preview of Ulysses by James Joyce. We’d love your help. Let us know what’s wrong with this preview of The Dead by James Joyce.